Manchester United is not in the crisis everyone says they are. No, they are not the ones in a crisis. Their manager, however, is a different story. Throughout his career, Jose Mourinho has been quite adaptable. Through his wildly successful journey across four different European top flights, he’s been able to wire himself differently to fit each individual league, and it’s worked. He hasn’t always made a lot of friends at each stop with a my-way-or-the-highway attitude, but it’s worked (at least for a time, before sometimes burning to the ground) to the tune of eight league titles with at least one in all four leagues he’s been a part of. 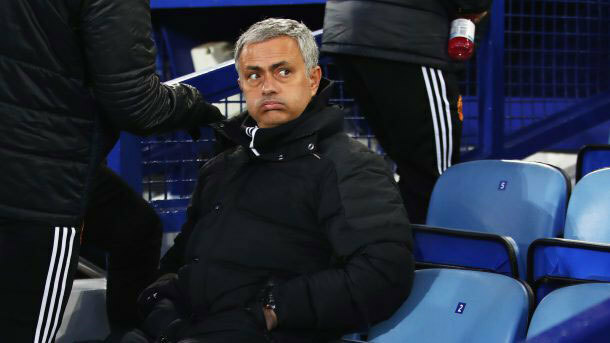 What Mourinho has not been able to do on a regular basis, however, is admit that he’s wrong. Therein lies the identity crisis Jose Mourinho currently faces. He’s got it blatantly wrong at United, and to fix things in the short-term, he must admit his mistake, not publicly, but by making a critical change. Through two stints at Chelsea, the 55-year-old has found a formula that works in the Premier League: find a deadly striker, grab a goal or two, and sit on it. And it’s worked. Didier Drogba and Diego Costa got him the goals, while John Terry, Gary Cahill, Petr Cech, Michael Essien, and John Obi Mikel held those leads. In their title year of 2004/05, 17 of Chelsea’s 29 wins came while scoring two goals or less. The next year, they won the league again with 19 of 29 wins coming with two goals or less. In their last title season of 2014/15, 16 of Chelsea’s 26 wins came while scoring two goals or less. It was a seemingly simple formula, and with the right players he executed it to deadly perfection. That, unfortunately, is what Manchester United doesn’t currently have, and it has Mourinho baffled. The right players. You can see why Zlatan Ibrahimovic was attractive to Mourinho’s tactics. He is meant to be United’s Drogba. He is their Costa. And it’s working, to the tune of eight goals so far. What United doesn’t have is the lockdown defense Mourinho relies on, yet he continues to try and rely on it. In the nine matches Manchester United has dropped points in, they conceded first inside the opening 35 minutes four times (twice in the opening two minutes), and in three they’ve conceded in the final five minutes. The other two were 0-0 draws. Mourinho has consistently blamed circumstance for United’s poor start. He’s partly right; United has been on the wrong side of crucial refereeing decisions, bad bounces, and a host of games where shot after shot after shot refuses to find the back of the net. Unfortunately, this is glossing over the real reason Mourinho’s bunch has failed to put up results indicative of their performances. Manchester United’s defense just won’t cut it. Chris Smalling has served the club valiantly since coming over from Fulham at a young age, but at 27 years old he has failed to improve for a number of seasons, and will not find himself among any awards lists in the near future. Marcos Rojo has a horrific disciplinary record and can’t get out of his own way. Eric Bailly has looked a solid piece but has been injured, only just returning. Daley Blind is a versatile piece but still has not found his best position, and thus has found the bench instead. Phil Jones, still just 24, can’t be trusted. Luke Shaw can’t stay on the field. Matteo Darmian has been pressed into action and has yet to prove his worth. Mourinho’s insistance on leaving Henrikh Mkhitaryan is a microcosm of the larger issue. Only just starting the $45 million signing for the first time in league play last time out, Mourinho has preferred the more possessive Jesse Lingard, despite Mkhitaryan’s ruthless attacking presence he proved last year with Borussia Dortmund, creating 82 chances in Bundesliga play, more than twice anyone else on the squad (hey look! he scored in the Europa League today because he’s actually getting time!). This team needs to attack, and they need to do it soon. If United can prove more ruthless at the front end, this team can pick up steam at a rapid pace. But for that to happen, Mourinho needs to adapt from his old ways and instead play to the squad he has. United can up the defensive unit in January and even next summer, but until that happens, this club will continue to suffer with the status quo.